The NEA Baptist Charitable Foundation is a 501 c (3) non-profit organization that is committed to enhancing the health care and lives of those we serve in our region. The NEA Clinic Charitable Foundation was formed in 2001 by the physician leadership of the NEA Clinic as a way to give back to their community. 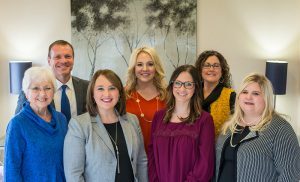 With a mission of helping change lives throughout the Northeast Arkansas and Southeast Missouri regions, the physicians wanted to create programs that would meet the needs they were seeing among their patients and the community. The Medicine Assistance Program, the Foundation’s first program, allowed the physicians a way to help their needy patients obtain their much needed maintenance medications free of charge. The program began to work with other agencies in the area to help patients beyond just the walls of NEA Clinic with their medication needs. As the physicians saw other needs in the community, additional programs were added to the NEA Clinic Charitable Foundation. In 2010, the NEA Clinic along with the NEA Clinic Charitable Foundation merged with the Baptist Memorial Health Care Corporation based in Memphis, TN, to become the NEA Baptist Health System. Now a part of the Baptist Memorial Health Care Foundation, the NEA Baptist Charitable Foundation is able to continue to meet the needs of those served by its six programs through the generous support of donors.